When I joined the Transportation Club of Tacoma in 2013, one of the first people I met was the Executive Director, Gary Gieser. He soon had me volunteering to be the newsletter editor, which I still am. The Transportation Clubs of Tacoma and Seattle work closely with the Port of Tacoma and Port of Seattle. Here in Tacoma and Pierce County I recommend participation for anyone interested in our communities and the economy of the region. The Port of Tacoma of course extends beyond Tacoma into Frederickson and beyond. The sheet cake was huge, but still not big enough . . . It is not uncommon to see our members attending the Seattle Club and their members and Executive Director attending our meetings. The Tacoma club is the larger of the two and the largest in the nation. Both clubs have outstanding/informative programs at each meeting. 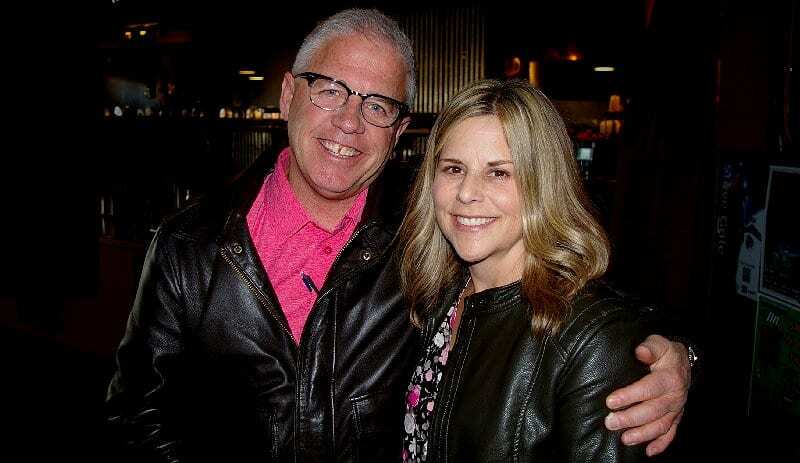 Gary Gieser, Executive Director of the Transportation Club of Tacoma, was honored at his retirement party on October 16th at Louie G’s Pizza in Fife. He was named the TCTacoma Professional of the Year in 2012. Gary’s ongoing contribution and dedication to the Transportation Industry has lasted for more than 50 years. He is currently the V.P. of Sales and Marketing for MacMillan-Piper. MacMillan-Piper is one of the largest transloader and container freight stations in the Pacific Northwest. MacMillan-Piper is recognized nationally and internationally as a leader in transportation services. Jeff Clark, Executive Director of the Transportation Club of Seattle and Janice Wasson, Past President (2013) of the Transportation Club of Tacoma. Gary earned his BS from Ohio State University and went on to do his masters work in Transportation at The University of Tennessee. He then went into the service as an Officer in The Transportation Corp of the US Army serving in Virginia and Korea. Upon his return to the US, he went to work for Sea-Land Service, Inc. and went back to Asia for five years, working in Vietnam, Hong Kong and Taiwan. When he returned to the US, he spent time in various locations ending up in Dallas, TX as Director of Administration and Director of Customer Service. He also was President of the Transportation Club of Dallas. Gary left Sea-Land in 1995 and worked for a transportation technology company, Highway Master, for four years. After his wife, Lorrie, presented him with triplet girls, they moved to the PNW to be closer to her large family. He went to work for MacMillan-Piper, Inc. as Vice President, Sales and Marketing, and he has been there for 15 years. Gary was President of The Transportation Club of Seattle in 2004 and became the Executive Director of the Transportation Club of Tacoma in 2005 and held that position until 2017. He is also a member of the Tacoma Community College Business Advisory Committee and on the Board of Advisors of the Agricultural Transportation Coalition. Gary and his family attend Faith Covenant Church of Sumner and when he can find time, he does like to garden, play golf, cook and relax with his family. Past Presidents, friends and relatives joined Gary to wish him well and thank him for his service. TCTacoma was founded in 1926. The organization has grown to over 500 members. Significant yearly club events are the Hi Jinks and Spring Open Golf Tournaments, Mary Bridge Band Aid Drive, Habitat for Humanity day, National Maritime Week and the Emergency Food Network Christmas Drive. Much of the monies raised go back to the Tacoma-Pierce County community as well as college scholarship. – www.transportationcluboftacoma.org/ – Past Presidents, friends and relatives joined Gary to wish him well and thank him for his outstanding service. Replacing Gary as Executive Director of TCTacoma is Brian Lovely of Toyota Lift Northwest. Brian is the Immediate Past President of TCTacoma. Gary has left our club in a great position to help Tacoma, Pierce County and our Port. With Brian as Executive Director, I expect our club to continue growing and becoming even more involved.